Special focus of this information campaign lies on the internally displaced Ukrainians who still fail to exercise in full their right to citizenship. The UN launched an information campaign in Ukraine on the occasion of the Human Rights Day – December 10. Its purpose is to draw attention to this issue and remind people of the Declaration of Human Rights. Within the campaign, prominent public figures and activists recorded short video appeals to remind a provision of the Declaration and urge not to keep silent in the face of human rights violations. Svyatoslav Vakarchuk, Jamala, Gaitana, Alla Mazur, Mariya Yefrosinina, Michael Schur, Ivan Malkovych and many others joined the information campaign. This was announced by representatives of international organizations and civil society activists at a press briefing held at Ukraine Crisis Media Center. This year’s global Human Rights Day campaign, “Stand up for someone’s rights today!”, is based on the Declaration’s fundamental proposition that each one of us – everywhere and at all times – is entitled to the full range of human rights, and that it is everyone’s responsibility to demand that they be upheld. Each one of us can make a difference,” stressed Fiona Frazer, Head of the UN Human Rights Monitoring Mission in Ukraine. “Documenting cases of violations makes a difference. It gives a voice to the victims. It serves to bring perpetrators to justice. And jointly with other testimonies it can help as basis to advocate for long-term change in society, thereby improving the human rights situation for everyone”. Manfred Profazi, Chief of the International Organization for Migration (IOM), Mission in Ukraine, drew attention to the fact that the displaced are the most vulnerable group of people. They are most likely to suffer from the economic crisis, face violations of labor rights, difficulties in access to education and health care. 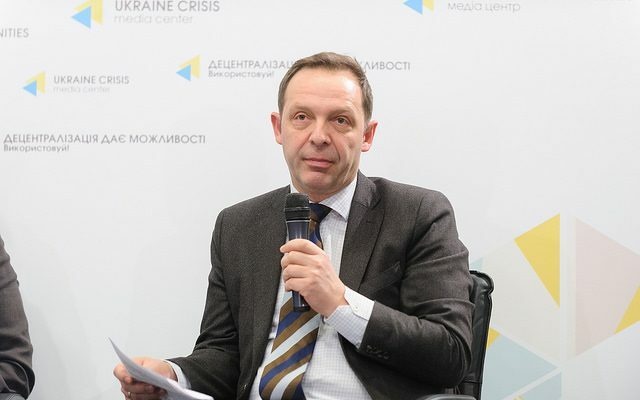 “As a consequence of the economic hardship, more and more Ukrainians’ human rights are being violated while seeking employment abroad, as we can see through the sharply increasing number of identified victims of trafficking,” he said. Mr. Profazi added that it is also necessary to take care of the rights of migrants who have come to live and work in Ukraine. Pablo Mateu, UNHCR Representative in Ukraine, drew attention to the problem of stateless persons. “There are millions of people who still cannot exercise their right to citizenship, including here in Ukraine. After the collapse of the Soviet Union, 2 million people became stateless. Most of them eventually received citizenship [of one of the former Soviet republics], but there are still people who are not officially recognized as citizens of Ukraine, for example,” he noted. Internally displaced persons belong to one of the most numerous and vulnerable category in Ukraine. Tetiana Durneva, activist and IDP herself, reminded that now there are more than 1.6 million IDPs. 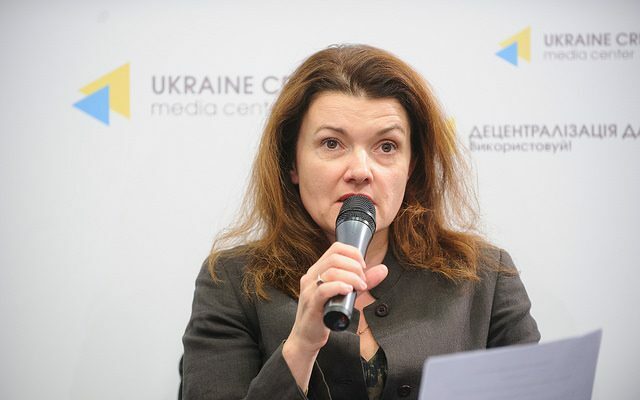 “When we talk about political rights of internally displaced persons and protection of their personal data, we mean not only those 1.6 million people but also 42 million Ukrainians who also have no guarantee of protection of their personal data. This is why this message of protection of the rights of the others is very important. Not only a bullet but also our indifference and the lack of attention to someone’s problems kills,” she stressed. “I urge all of you to rise in defense of the rights of other people. 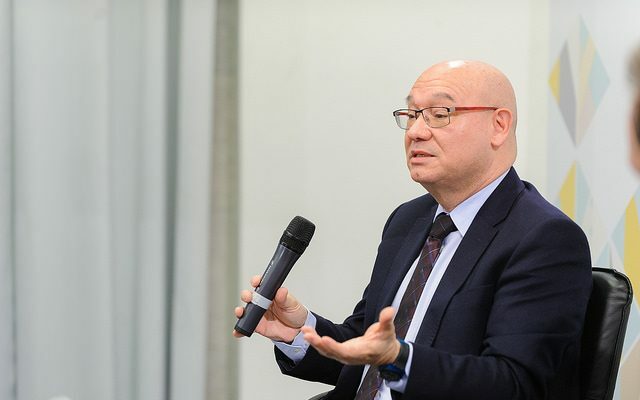 If, for example, you are an IDP, you should defend the rights of refugees in Ukraine; or if you are a person with disabilities, you should defend the LGBT rights, or if you belong to a religious minority, you should defend the women’s rights,” urged Pablo Mateu. Video clips will be broadcasted during the following week on the central TV channels of the country. In addition, a longer video clip will be placed on portals and social networks of the UN agencies and their partners. Besides, information materials on how to respond to the violation of rights and how to join the human rights activities have been posted on the campaign website.